Creeping, evergreen perennial, rooting at the leaf nodes and spreading widely. The elliptic or obovate, mid to dark green leaves, 12cm long, are usually 3-lobed, sometimes entire or barely lobed. 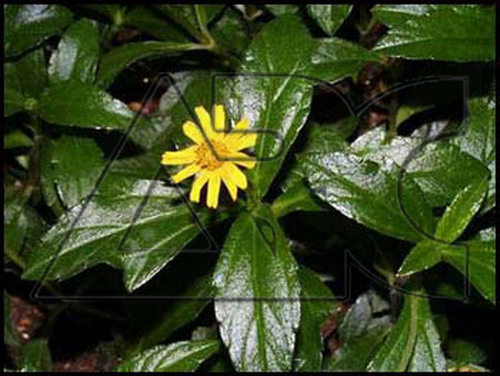 Solitary, daisy-like yellow flower heads, 2cm across, are borne from late spring to autumn.